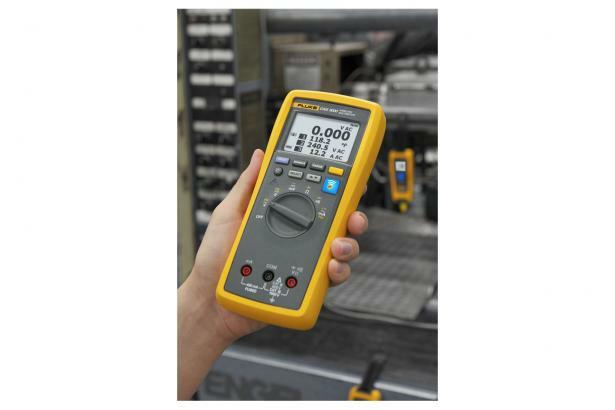 The Fluke CNX i3000 iFlex® AC Current Measurement Kit provides measurement of all common electrical parameters. Using the optional PC adapter, the CNX wireless troubleshooting system can track up to 10 measurement modules simultaneously, with results sent to a PC for further analysis. 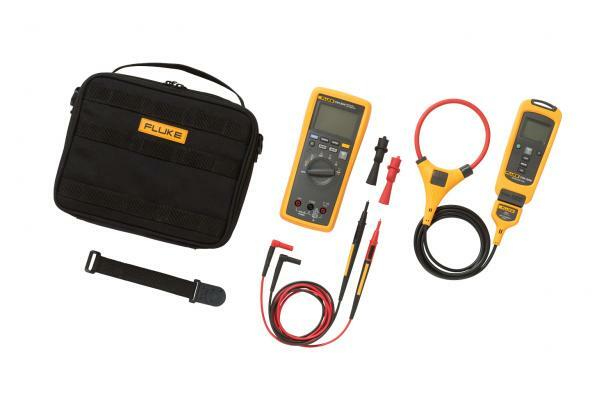 The Fluke CNX i3000 iFlex® AC Current Measurement Kit is part of the Fluke team of wireless troubleshooting tools. Connect the CNX i3000 iFlex® AC Wireless Current Module to your test point, and view the results up to 20 meters away on the CNX Wireless Multimeter. You’ll save time, with less run-around collecting multiple measurements. Use multiple modules for measurements on three-phase systems. Or use as a stand-alone measurement tool or combine with other CNX modules as a system for multiple measurements. From short distances, you can even view readings from modules through closed electrical panels. Plus no more writing down data as the CNX i3000 current module captures up to 65,000 sets of time stamped min/max/avg readings, using the optional PC adapter. CNX wireless test tools also offer increased safety by letting you view readings in a separate location from the test point. Now you can take readings on moving machinery, with only the measurement module in harm’s way. For all specifications: accuracy is specified for one year after calibration, at operating temperatures of 18 °C to 28 °C, with relative humidity at 0 % to 90 %. Accuracy specifications take the form of ± ([ % of Reading ] + [ Number of least significant digits ]). ¹ All AC voltage ranges are specified from 1 % of range to 100 % of range. ² Crest factor of ≤ 3 at full scale p to 500 V, decreasing linearly to crest factor < 1.5 at 1000 V.
³ For non-sinusoidal waveforms, add –(2 % of reading + 2 % full scale) typical, for crest factor up to 3. 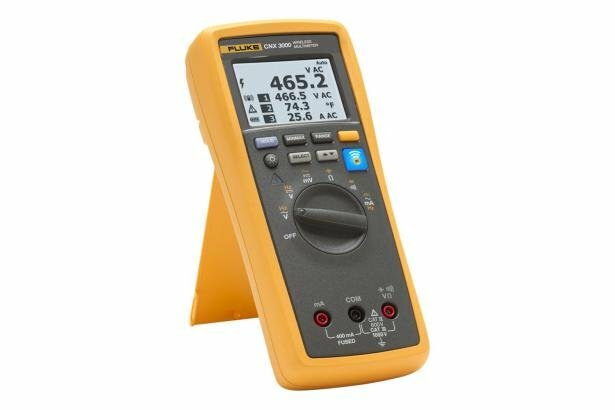 Ω 600 Ω 1 Ω Meter beeps at < 25 Ω, beeper detects opens or shorts of 250 μs or longer. ¹ In the 9999 μF range for measurements to 1000 μF, the measurement accuracy is 1.2 % + 2. ¹ All AC current ranges are specified from 5 % of range to 100 % of range. ² Input burden voltage (typical): 400 mA input 2 mV/mA. ³ 400.0 mA accuracy specified up to 600 mA overload. ¹ Frequency is specified up to 99.99 kHz in volts and up to 10 kHz in amps. • Accuracy is specified as ± ([% of reading] + [number of least significant digits]). • All ranges are autoranging. • Accuracy is specified from 5 % to 100 % of the range obtained by autoranging, from 18 °C to 28 °C. Can You be Two Places at Once?